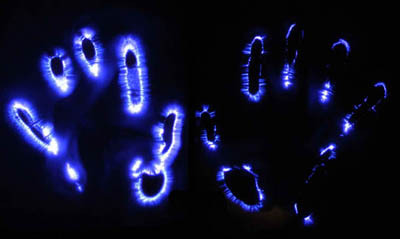 Many names have been given to the mysterious energetic force associated with vitality and life. Often, this force has been studied in relation to its boundary within the human body, as in the case of the early yogis and their knowledge of prana or the qi of ancient Chinese medicine. Not until the middle of the 20th century was a theory of life energy expanded to include a ubiquitous principle of universal life energy extending beyond the confines of any organism. This theory was developed by famed Austrian psychoanalyst Wilhelm Reich in the 1930s. 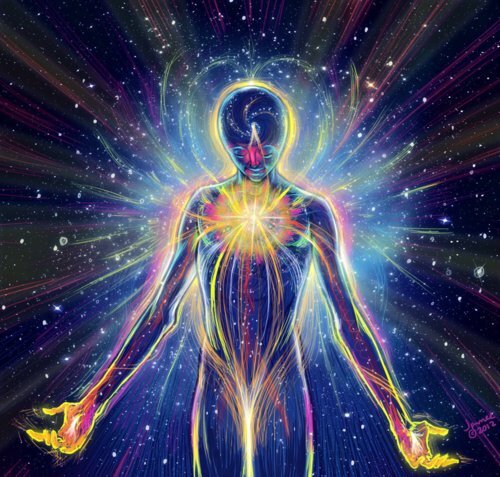 Reich strongly believed that living matter tended to radiate energy, an idea based on his observations of clinical patients releasing powerful waves of energetic discharge as they experienced intense emotional breakthroughs. Reich confirmed his initial observations with the use of a specially modified electric meter which, when attached to the body with electrode sensors, detected a subtle bio-electric charge. During an experiment with simple organisms called bions, Reich built a special wire cage covered in cotton and wood meant to isolate the bions from external sources of radiation. What followed was the accidental discovery that radiation was emanating independently from the bions and was actually emerging from the atmosphere within the cage. Reich called this radiation orgone energy. Reich found that certain non-metallic materials (wool, cotton, fiberglass, some plastics) attract and hold orgone energy, and that metal attracts and then rapidly repels orgone energy. 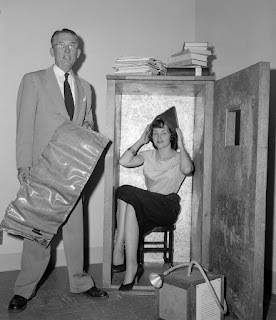 During his exploration into this mysterious bio-energy, Reich observed that orgone energy flows from the inside core to the outside surface of the body when an individual experiences pleasure or positive emotions and flows from the surface to the interior of the body during states of anxiety or fear. This observation led him to classify orgone into three types: neutral (OR), positive (POR), and negative (DOR). POR is free flowing and uninhibited, allowing an organism to exist in a healthy state. Reich referred to DOR as the "armored" version of POR, meaning it is rigid and stagnant. DOR accumulates in the body when stress and anxiety are left untreated, resulting in a state of bodily contraction and the activation of the sympathetic nervous system. In order to treat dis-ease with orgone energy, Reich developed orgone accumulators, large boxes lined on the inside with alternating layers of metallic and non-metallic material. These accumulators were used by Reich to treat cancer patients with astonishing success. In 1991, Austrian Karl Hans Welz improved upon Reich's accumulator design with the development of orgonite, a mixture of catalyzed fiberglass resin containing metal shavings, powders, and crystals in alternating layers of organic and inorganic matter poured into a mold. The thousands of metallic particles within the orgonite attract DOR and immediately release it. The released DOR is immediately reabsorbed by another metal and reemitted. In this way, the rigid DOR is loosened and converted into OR or POR. As the concentration of OR and POR within the orgonite increases, the orgonite will emit OR and POR, thus an orgonite product acts as an automatic bio-energetic generator. When orgonite is close, the energy field of the organism and the device make contact and excite each other. 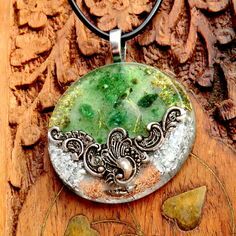 Since humans have a higher energetic charge than the inorganic matter of the orgonite, the orgone is absorbed into the body. This results in the release of physical character armor, as well as mental and emotional blockages. Orgonite has been known to aid in overall health and wellbeing, quality of sleep, respiration, and homeostatic balance. In addition, orgonite actively purifies the atmosphere, cleanses water, accelerates plant growth, and protects from the harmful electromagnetic fields (EMFs) emitted by cell phones, televisions, microwaves, and other electronic devices. Orgone generators are the perfect tool for physical and environmental purification and vitalization. Visit The Om Shoppe & Spa to pick up an orgone generator in pyramid or pendant form. You will find that orgonite is a perfect piece to wear on the body or to serve as the centerpiece in a crystal grid or altar, effortlessly operating to maintain an energetically flowing existence. Your feedback and comments are greatly appreciated! © 2014 The OM Shoppe. Simple theme. Powered by Blogger.